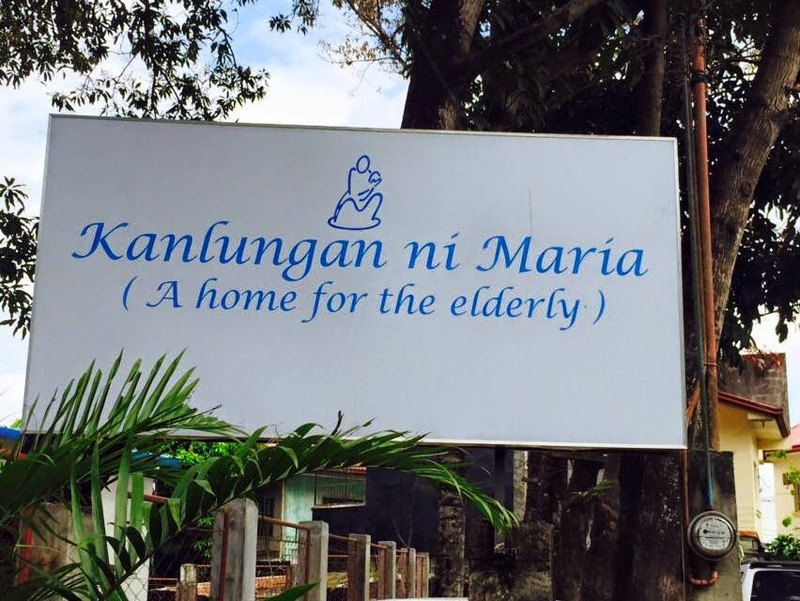 Kanlungan ni Maria is a home for the elderly which was established in 2002 by former Bishop of Antipolo, Crisostomo Yalung, D.D. 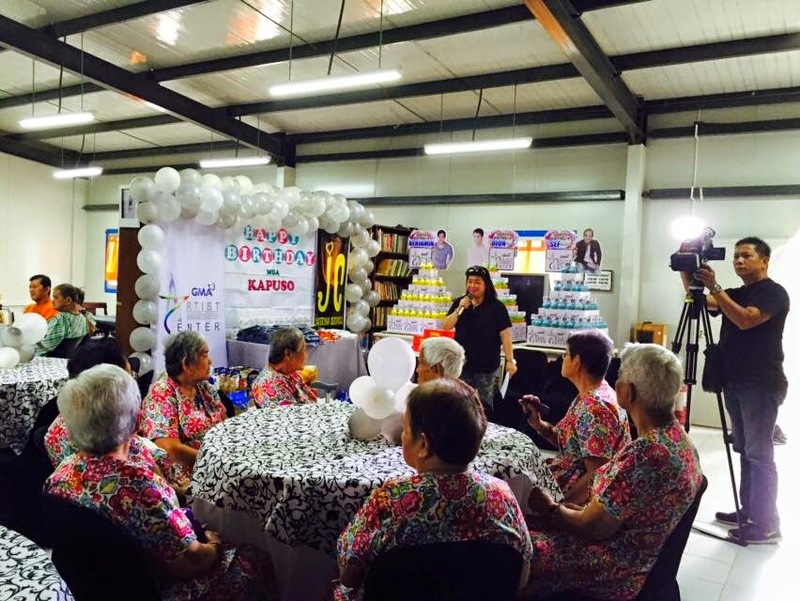 The "home" is home to lolos and lolas who are more than 60 years old. I was told that the most senior member will celebrate her 90+ birthday this March. Some of the elders there are sick, and some even have difficulty interacting with each other maybe due to old age. 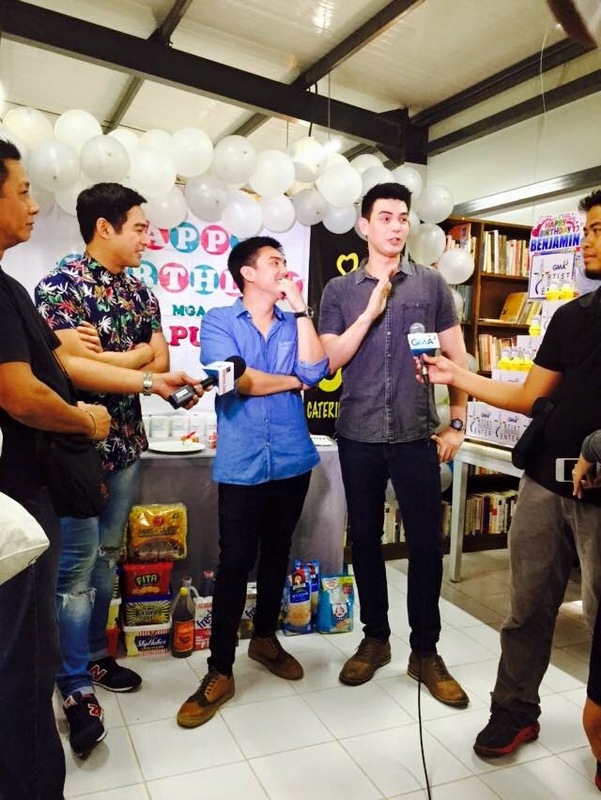 But it was a happy event since three Kapuso stars- Sef Cadayona, Benj Alves, and Dion Ignacio, decided to celebrate their birthdays there. The three stars were all born in the month of March so that makes them troopers! And everyone had a lovely time, the elders the celebrants, and the guests. Sef, Benj, and Dion entertained everyone in Kanlungan ni Maria, and have lovely presents for the lolos and lolas. A special lunch was also served and everyone enjoyed the healthy dishes. 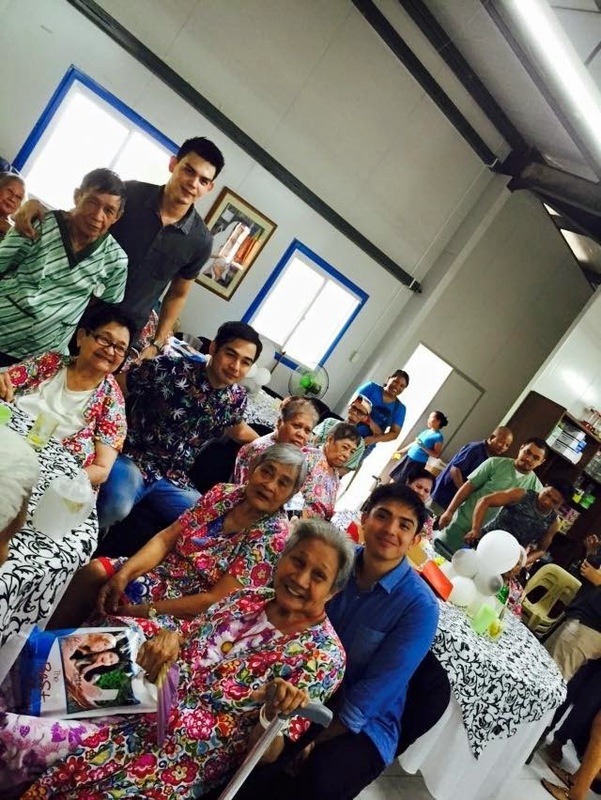 It was really amazing and heartwarming to see a particular lola ate with so much gusto. Actually, I noticed this lola because not only is she on a wheelchair but she was fast asleep during the whole program, but when lunch started, she finished everything on her plate- unattended and very much awake. There are more than several instances when I can't help being teary-eyed at Kanlungan ni Maria. I feel bad for these lolos and lolas because why are they here. They should be spending their twilight years in the company of their love ones. Where are their families? Luckily, there are groups and individuals, like these three who bring joy to the elders of Kanlungan ni Maria. I salute Sef, Benj, and Dion for sharing some time off from their busy schedule to mix and mingle with the lolos and lolas here. 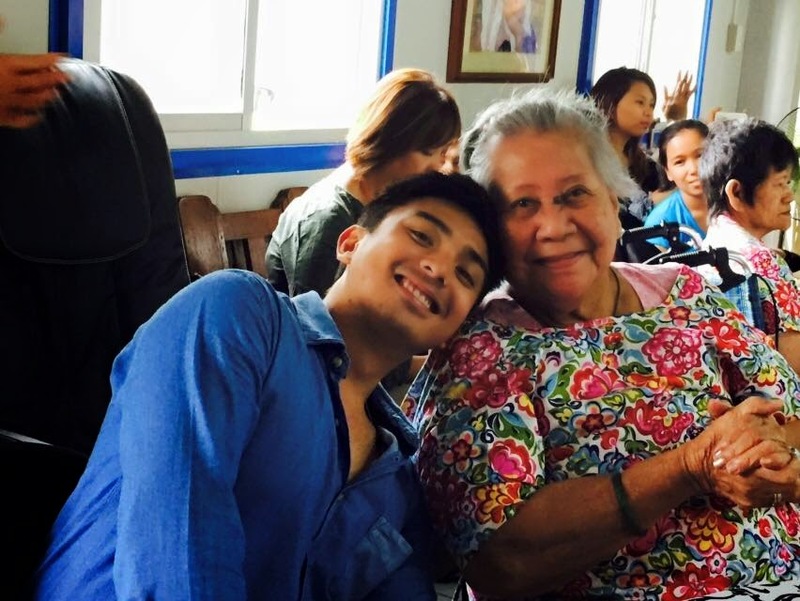 Sef, a certified lolos-boy enjoyed mingling with the elderly. In fact, his lolo was a big influence on his showbiz career by giving him the thumbs up in following his passion. Benj, on the other hand, has a soft spot for the elderly as he wasn't able to spend a lot of time wit his grandparents especially when they relocated to Guam. As for Dion, being the self-confessed "probinsyano," he is not new to being surrounded by elders although he said that this is really his first time in joining such an event, and it made his birthday celebration more meaningful. Happy birthday Sef, Benj, and Dion.